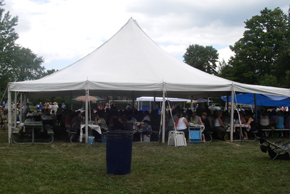 Excellent standard tent for events with 90 people. 21-ft. swooped peaked top available. Ideal for standard movie shoot crew holding area. 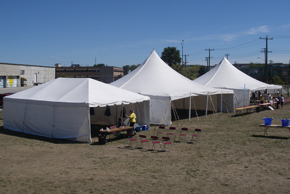 Quick installation with only one centre pole; very versatile tent.